• Underflow rubber lined slurry pump. 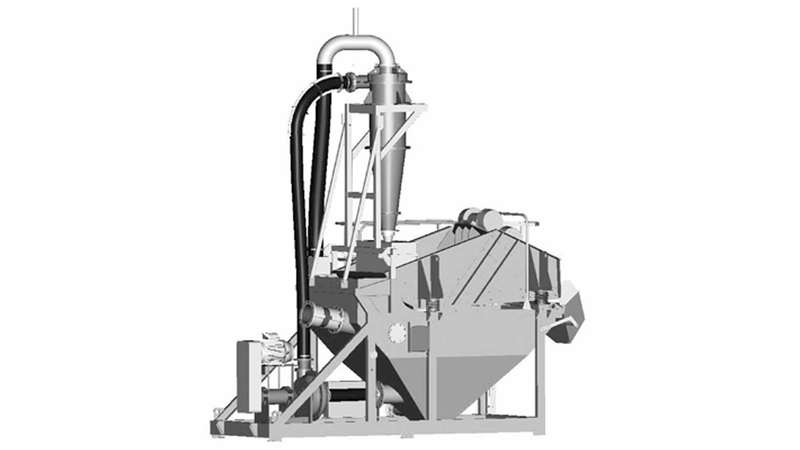 • One rubber lined hydrocyclone which classifies at approximately 75 μm (200 mesh). • Self regulating cyclone tank complete with built in float system and Anti-turbulence sections. • Maximum recovery of material above 75 μm (200 mesh). • Removes silt, slimes and clays below 75 μm (200 mesh). 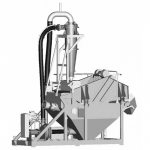 • Removes water following dewatering operation to 10–15% of residual water content. • Major reduction in saleable material discharging to the pond,thus reducing pond maintenance and saving money. • Heavy-duty robust construction ideal for rugged operating environment.